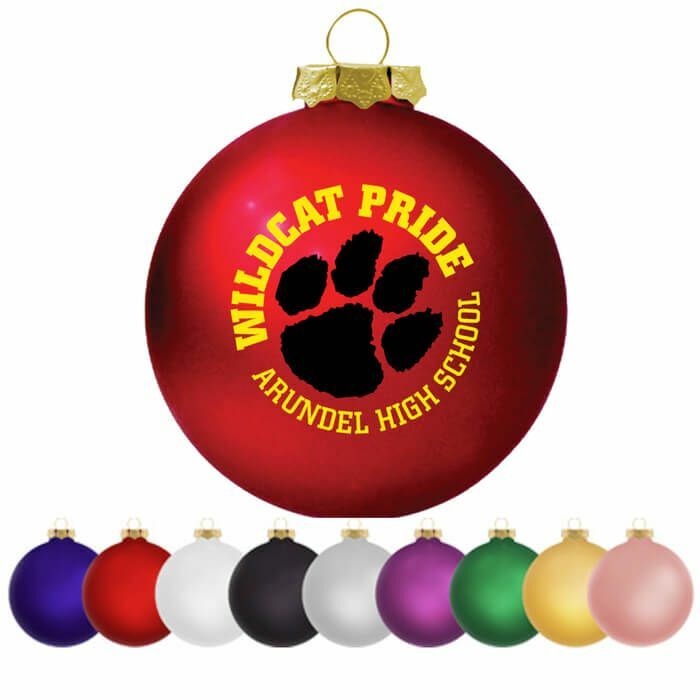 Traditional glass ornaments are available in seven satin finished colors. Each ornament is individually packaged in a protective gift box. Imprint Area 1 3/4" to 2" in Diameter depending on artwork. Setup Charge $20.00 per ink/per color. 2 side imprint max. $35.00 for Full Color prints. I ordered 200 of these balls. The quality and design were outstanding. If you are ordering the blue ball, however, I would request a sample. The balls I received were more purple than royal blue.